Crucially, Vietnam needs to upskill its labor force, which is rapidly shifting with approximately 1 million agricultural workers transitioning into industry and services each year. Expanding access to education and vocational training are paramount objectives of the government. The number of students in higher education grew from around 133,000 students in 1987 to 2.12 million students by 2015. Despite its meteoric economic growth, Vietnam remains a relatively poor country with a per capita GDP of USD $2,186 – less than half of that of Thailand’s GDP, for example (2016, World Bank). The U.S. has, over the past decade, become the most popular destination choice among Vietnamese students enrolled in degree programs abroad, despite the high costs of study in the U.S. and the legacy of the Vietnam War. Fully 30 percent of outbound Vietnamese degree students (19,336) studied in the U.S. in 2015 (UIS). 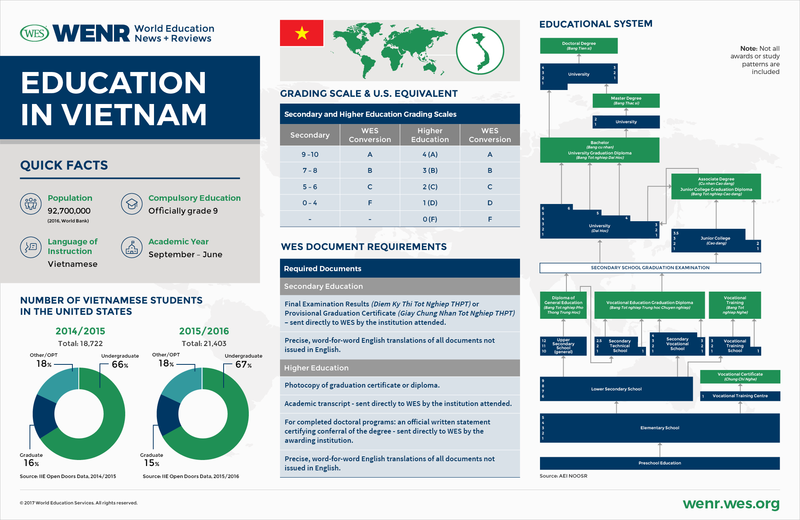 The Open Doors data of the Institute of International Education, which includes both degree and non-degree seeking students, shows that enrollments of Vietnamese students surged by a remarkable 1,009 percent between 2000/01 and 2016/17, making Vietnam at present the 6th largest sender of foreign students to the United States. The next most popular study destinations among Vietnamese degree students include Australia (13,147 students in 2015 as per the UIS), Japan (6,071 students in 2014) and France (5,284 students in 2015). With the exception of France, where enrollments remained relatively flat, the number of Vietnamese degree students in these countries has increased strongly in recent years, if at smaller growth rates than in the United States. In Australia, the number of students increased by 75 percent between 2009 and 2015, while in Japan the number grew 110 percent between 2009 and 2014. Canada also experienced strong growth – the number of Vietnamese students jumped by 203 percent between 2005 and 2015, according to the Canadian government. 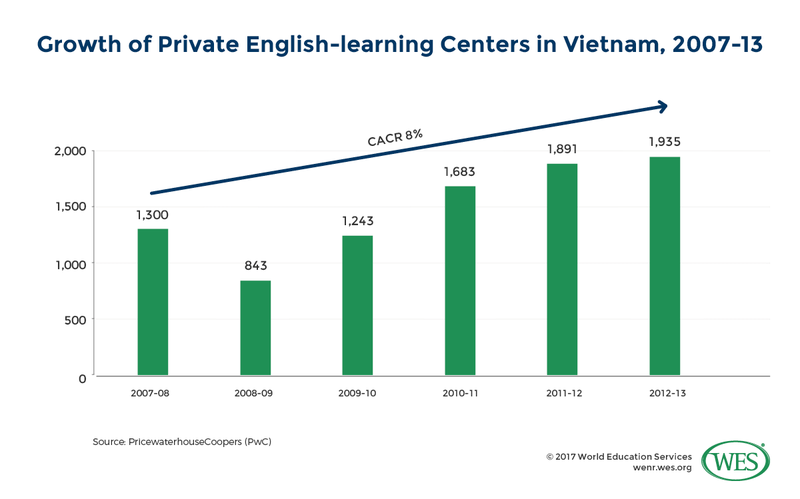 Vietnam has ramped up education spending significantly in recent years. Education expenditures as a percentage of GDP increased from 3.57 percent in 2000 to 5.18 percent in 2006, and have since then remained above 5 percent, reaching 5.7 percent in 2013. Education spending as a percentage of the government budget has also been growing. Education is the largest expenditure item on the state budget and stood at 20 percent of total government expenditures in 2015 (USD $10 billion), a far higher percentage than the global average of 14.1 percent (2013). Increased funding notwithstanding, public schooling in nominally Socialist Vietnam is not entirely free and getting increasingly expensive. Even though elementary education is officially provided free of charge and the government covers most costs, elementary schools charge a variety of supplementary fees, ranging from maintenance levies to fees for the acquisition of books and uniforms. Secondary public schools, meanwhile, are allowed to charge small tuition fees. In addition, it is not uncommon for parents to pay school teachers for extra private lessons to ensure the academic success of their children – an often corrupt practice that increases costs and inequalities in public education. Vietnam’s quest for vocational training is also driven by increased demand for VET among Vietnam’s youth. Poor employment prospects for university graduates, in particular, have caused growing numbers of high school graduates to opt for vocational education instead of pursuing an academic career. As the online newspaper VietNamNet has noted, even university graduates increasingly opt to put their “… bachelor’s degree into a drawer and go back to vocational school because industrial zones and factories only need skilled workers, not bachelor degree graduates”. Between 2000/01 and 2009/10 alone, the number of students enrolled in vocational training schools and professional secondary programs increased by 132 percent. 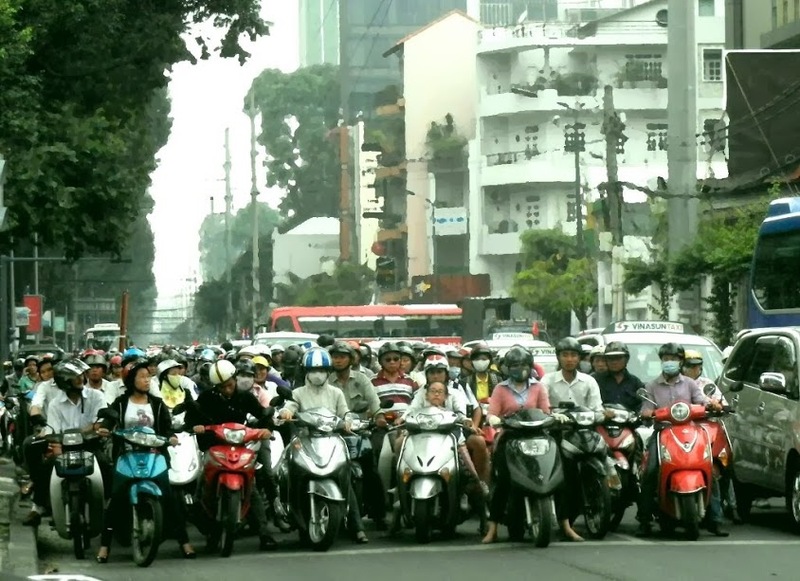 Many of Vietnam’s private HEIs are profit-driven “demand-absorbing institutions,” that is, institutions that provide access to higher education, but not at the same level of academic quality or rigor offered by most public institutions. Private institutions are often expensive and presently cannot effectively compete with the much more popular top-tier public universities. Many private HEIs concentrate on niche fields and areas where public universities fail to meet growing demand (business administration, foreign languages and computer and information technology). In 2012, enrollment levels at private HEIs were so critical that the Vietnam Private Universities Association issued a petition urging the prime minister to allow private universities to lower their admission standards to recruit more students. The practice requirements for teachers in Vietnam depend on the level of education. Pre-school and elementary school teachers must have a professional secondary school diploma in teaching (Bằng Tốt nghiệp Trung học Sư phạm), usually awarded by secondary teacher training schools. Lower-secondary school teachers commonly hold a teaching diploma from a pedagogical junior college (Cao đẳng Sư phạm), whereas upper-secondary teachers must have a bachelor’s degree in education from a pedagogical university (trường đại học Sư phạm). Holders of bachelor’s degrees in other disciplines can obtain a teaching qualification by earning a supplementary one-semester teacher training certificate (Chứng Chỉ Sư Phạm). In 2014 the MOET issued a directive that suspended this practice, but the ban seems to have been lifted, as universities are presently again offering these programs. Like other parts of Vietnam’s education system, teacher education is changing. The MOET seeks to strengthen teacher training while simultaneously trying to respond to teacher’s shortages. In 2012, authorities estimated that the country lacked 27,500 pre-school teachers alone.